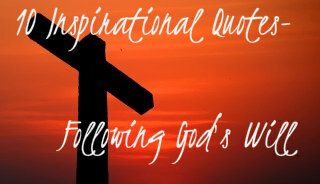 10 More Inspirational Quotes about Following God’s Will! As I mentioned in my original 10 Inspirational Quotes about Following God’s Will post, I love collecting words of wisdom! I’m back again with some more to share! Please feel free to add your own favorites in the Comments section! I’d love to read them! 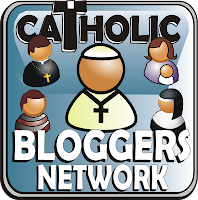 **UPDATE: This post originally assigned the first quote to Dietrich Bonhoeffer in error. It is now corrected to reflect the actual author, Eric Metaxas. ← 5 Ways I’ve Learned to Save on Baby Necessities! I’ve been looking at your first quote today. “Being a Christian is less about cautiously avoiding sin than about courageously and actively doing God’s will.” That was not Bonhoeffer, but his biographer, Eric Metaxas, who said that. I appreciate you informing me of that. I will look into it and make necessary corrections.